The following is a guest post contributed by our friends at Little Passports! As a mother of two young boys, I’m always dismayed to learn how little US kids know about the world. Did you know that 50% of US kids can’t find New York state on a map? Or that 37% percent of US adults can’t find Iraq on a map? Statistics like these are what led me to co-found Little Passports. Little Passports is a fun, personalized way for your child to learn about geography, history, and culture through the eyes of our globetrotting characters Sam and Sofia. These two penpals send your child a monthly package full of goodies including a letter, souvenirs, activities and online games. Little Passports offers a World Edition featuring Sam and Sofia’s trips to different countries as well as a USA Edition that highlights the wonders of the 50 States. Our subscriptions are full of hands-on activities and learnings for kids. Like thredUP, we know that keeping costs down is important for families. That’s why we’ve priced our monthly subscriptions at $10.95/month. You can learn more here. Living in California has given my family the opportunity to experience a wonderful mix of different foods from all over the world. I love cooking with my kids, and teaching them about another culture at the same time. 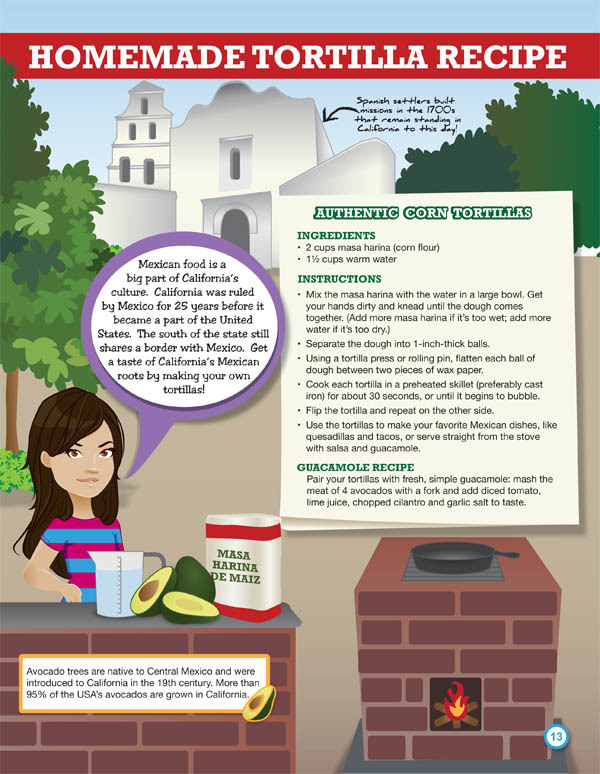 With a strong Mexican influence here in California, I wanted to share with you a homemade tortilla recipe from our California State Journal. This is a great recipe to get the kids involved in and will be enjoyed by the whole family! With summer travel coming up, Little Passports is a great way to get your child interested in the world around them.